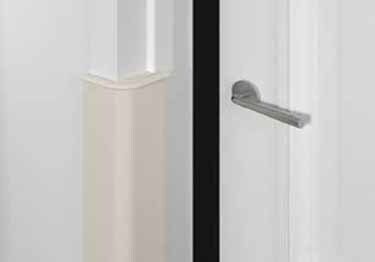 Protect door frames from the abuse of impact collisions with Inpro® High Impact Door Frame Guards. Strong, scratch and stain resistant PVC construction. Available in a wide variety of standard colors to meet your design needs. Door guards come complete with caps and mounting hardware. KSC Floor Mounted Door Stops and Domes protect your walls and doors. Available in 5 styles and 6 different finishes. Stop doors from damaging walls with KSC Wall Mounted Door Stops. Available in 13 styles and 6 different finishes.